Reiki tradition dictates that you must be initiated-or attuned-by a Reiki master before properly practicing this healing art of energy flow. 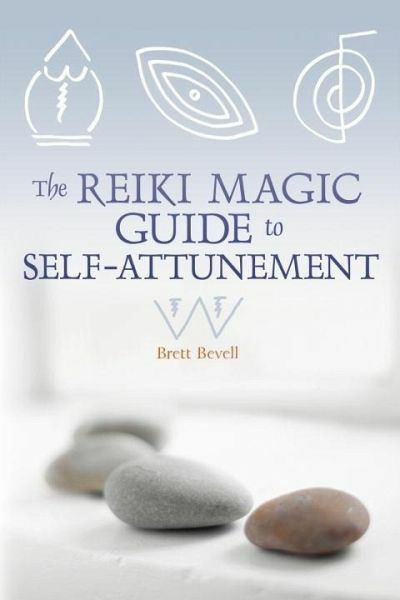 Now, in this revolutionary guide, Reiki Master Brett Bevell breaks with convention and extends the transformative powers of Reiki to all by presenting at-home rituals for self-attunement. In the true healing spirit of Reiki, Bevell encourages creativity and experimentation with the practice, allowing you to personalize Reiki for everyday use. With twenty-one symbols to empower the flow of Reiki, as well as chants for attuning candles, stones, and even the water in your bath or washing machine, this is Reiki as you'¬?ve never seen it before: available to everyone, for use in all aspects of life, as Reiki was always meant to be. Brett Bevell is a Reiki Master who teaches regularly at the Omega Institute for Holistic Studies in Rhinebeck, New York, and at the Chapel of the Sacred Mirrors in New York City. He is the author of two other books, America Needs a Woman President and America Needs a Buddhist President.